Buying an annuity that generates lifetime income could very well be a good move for you and your wife, as a variety of studies show that guaranteed income often makes for a happier retirement. Not surprisingly, people seem to enjoy their post-career lives more knowing that they'll have income they can count on no matter how long they live and regardless of the ups and downs of the financial markets. But before you commit any portion of your savings to an annuity, there are a few things you need to consider, beginning with this question: Are you really sure that you need more guaranteed lifetime income than you'll already receive once you retire? I say "more" because you and your wife will already be eligible to collect Social Security, which is itself a type of annuity, indeed, one designed to automatically boost its payments each year to keep pace with inflation (although if the inflation benchmark used by Social Security doesn't rise, neither will payments, witness the fact that Social Security recipients won't receive a cost-of-living increase in 2016). For an estimate of how much monthly income you and your wife will receive from Social Security, you can go to Social Security's Retirement Estimator tool. Related: Will the retirement 4% rule work for you? If the income you and your wife will receive from Social Security (and pension income, if any) is enough to cover all or most of your essential living expenses, you might not need additional guaranteed income. You may be able to get by using Social Security and pension income to pay for your day-to-day living expenses and then drawing on those substantial assets in your retirement accounts for discretionary outlays (travel, entertainment, etc.) or to handle emergencies and such. To get a handle on what your post-career expenses might be, think seriously about the sort of lifestyle you expect to live in retirement and then do a retirement budget with a tool like BlackRock's Retirement Expense Worksheet. But if Social Security and pensions don't generate enough income to cover all or most of your basic living expenses -- or if you would just feel more comfortable having some additional guaranteed cash flow -- then you might consider devoting a portion of your assets to an annuity. There are several types of annuities that can provide lifetime income, but I think most people should consider two that are relatively easy to understand (by annuity standards at least) and that recent research has shown can actually enhance one's retirement security. I'm talking about immediate annuities and longevity annuities. Retirement planning: How much should I save? The premise behind an immediate annuity is pretty straightforward. In return for investing a lump sum (or premium, as it's known in annuity-speak) with an insurance company, you receive payments that begin at once and continue for life. 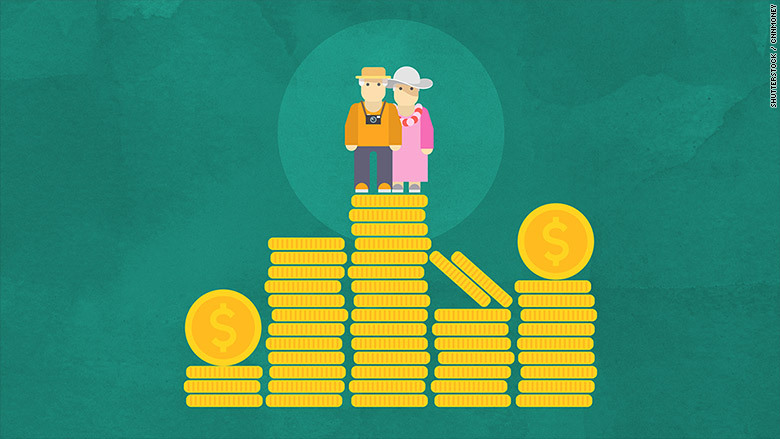 A 65-year-old man who invests $100,000 in an immediate annuity today would collect about $555 a month for life, a 65-year-old woman would receive $530 a month or so and 65-year-old couple (man and woman) would get about $475 a month as long as either is still living. A longevity annuity also provides income for life. But even though you pay the premium now as with an immediate annuity, you don't receive the payments until some point you designate in the future, say, 10 or 20 years from now. Because the payments start later, you can get relatively large payments in the future for a much smaller upfront premium than with an immediate annuity. For example, a 65-year-old man who invests $25,000 in a longevity annuity today with payments that start 20 years from now would begin collecting about $1,100 a month for life starting at age 85. The idea is to ensure that you won't run out of income late in life, yet have more of your savings available today for emergencies and such than you would have with an immediate annuity. If you're considering buying a longevity annuity within an IRA, 401(k) or similar retirement account, you'll want to make sure it has been designated a QLAC, or Qualified Longevity Annuity Contract and that you don't exceed the maximum allowable premium for QLACs (the lesser of $125,000 or 25% of your account balance). To see how much income you might receive from an immediate or longevity annuity, check out this annuity calculator. I've given you the broad brushstrokes of immediate and longevity annuities, but before you commit you'll want be sure you understand their downsides -- the biggest being that if you die soon after investing you may receive few (or in the case of a longevity annuity, no) payments -- plus you'll want to do some comparison shopping to make sure you're getting a good deal. These five tips for choosing the best annuity for income can help you do that. As for your question of what percentage of assets to devote to an annuity (assuming you decide you want one), I can't give you a specific figure. The appropriate percentage can vary dramatically depending on one's financial circumstances. Besides, more important that trying to arrive at some ideal percentage is making sure you're getting enough guaranteed income to provide the cash you require for basic living expenses while still having sufficient savings left over for discretionary spending and unexpected outlays. There's also no reason to rush into an annuity. A recent Morningstar study shows that retirees can still get most of the benefit of an annuity as long as they buy within the first 10 years of retirement. So you may want to wait at least a year or so after retiring so you have a better sense of what your actual expenses will be. Even then, you don't have to commit all your money at once. Among other benefits, spreading out your investment over a few years will reduce the chance that you'll invest all your dough when interest rates -- and thus annuity payments -- are at a low. Finally, given the marketing tactics and potential conflicts of interest outlined in Senator Elizabeth Warren's recent report on annuities, you'll want to be sure that any annuity you invest in is a good deal for you, not just for the person selling it. If you ask these three questions before you buy, you'll increase the odds that will be the case. I realize that this is a lot of information to digest. Creating a retirement income plan can get complicated. But by thinking about whether you need an annuity well before you retire, you'll be less likely to make a hasty decision you may come to regret.